It was a small and insignificant place. And it was dirty, as shepherds who spent all of their time with animals had little time for ceremonial cleansing. Interesting that these guys who looked after temple flocks were considered unclean and of the lowest job class. A polluted spot both physically and spiritually. Not an impressive place by any stretch. A humble and low place. A place not for kings or noble men but for the lowest of the low. 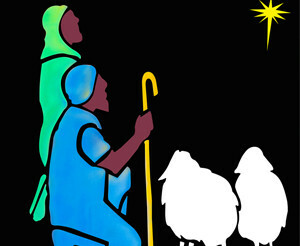 Bethlehem, the humble place, is reflective of our Savior’s personality. For Jesus said, “…I am gentle and humble in heart…” (Mat. 11:29) This is the only biographical statement made by Jesus! He chose to tell us this about His personality! Bethlehem, the place of outcasts, is reflective of our Savior’s purposes. For He came first to those who were left out, forgotten, scorned, hurting, pushed aside. Jesus is near to those who need, those who hurt, those who weep, those who are broken. So, Jesus, let us be people of Bethlehem, humble and meek like You. Let us be Bethlehem people, seeking out those who hurt and are outcasts and need. And Let us be Bethlehem people, effecting everyone we come in contact with by the power of the One who lives inside of us. Amen.